This is a wonderful idea. 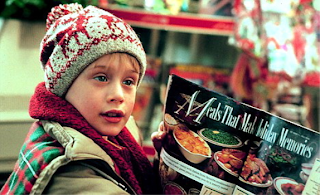 Sid and Liv, who run Grub Club, have teamed up with Uber and airbnb, to create a pop-up lunch on Christmas Day for people stuck 'Home Alone' in London without their families. You can bring your own dish and share with others (for a £5 fee to charity), or get fed by the organisers for £25. Great idea! "Faced with a MaCaulay Culkin style Christmas? Forget being Home Alone! Come and join the Grub Club team and share your Christmas with us! Our Scientific team here at Grub Club have been working hard in the lab alongside Uber and Airbnb’s teams to devise the ultimate Christmas boonanza. After many months of gastronomic and festive experiments, we heard a cry... Eureka! We’d found it! Come along and experience a truly unique and charming way to pass your Christmas! If you’re Home Alone and all you have is a packet Mac n’ Cheese to offer then don’t fret - you can chip in and we'll feed you instead. Any Christmas traditions you want to bring along will be greatly welcomed, but soggy sprouts and Cliff Richard are strictly banned! This is a perfect opportunity to get stuck into some good grub, pull a cracker with some lovely new people and generally share in some festive fun. To add to the warm fuzzy feeling you’ll get from sharing your Christmas (and a belly full of food and bubbly), all of the money you spend will be going to the National Charity for Homeless People - Crisis - now doesn’t that put the icing on the top of Christmas cake! Book now for only £25! Or you can even bring some of your own culinary repertoire to share and get involved for only £5!"